‘CITY’ is a unique collection of photos taken during this time that delves into the way people have created and live in the world’s cities. The journey steps along the longitudinal lines, in a 360-degree journey from Tokyo in the east to Alaska in the west, and provides a startling snapshot of the diverse forms of urbanity that exist across all five continents. David is a two-time award winner and multi-finalist at the Press Photographer’s Year Awards. David also works in video as a Director of Photography and his innovative work in documentary and Virtual Reality has been recognised with numerous prestigious photography awards. All works feature in David Levene’s CITY collection, published in hardback – available to buy in person from Debbie Bliss Home at 36 Orford Road – just across the street from the gallery. 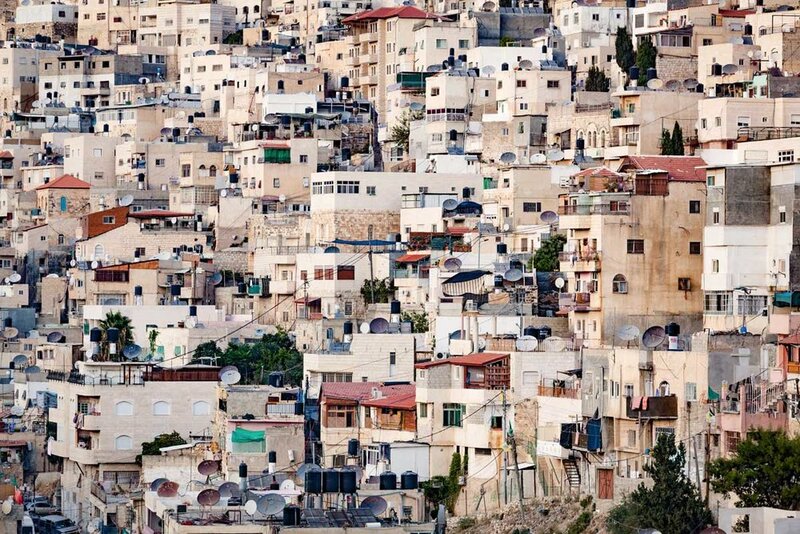 Houses cling to the hillside in Silwan, a predominantly Palestinian neighbourhood in East Jerusalem. 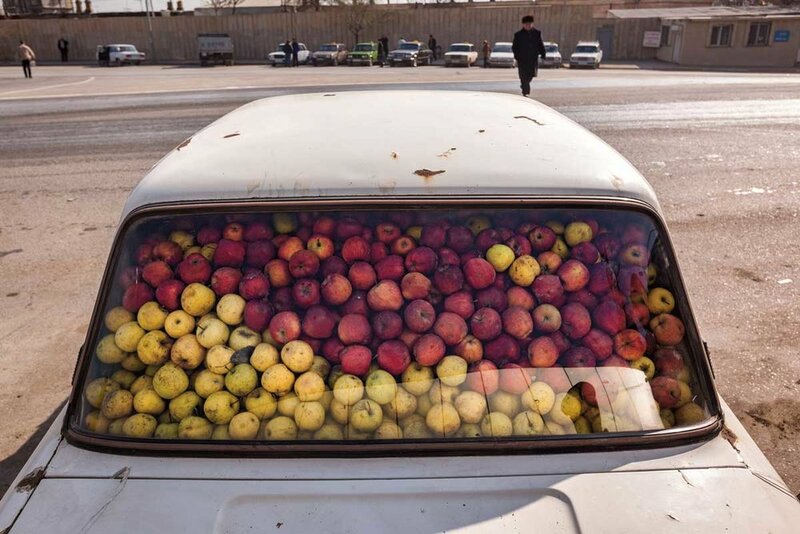 A car filled with apples in the Azerbaijan capital, Baku. 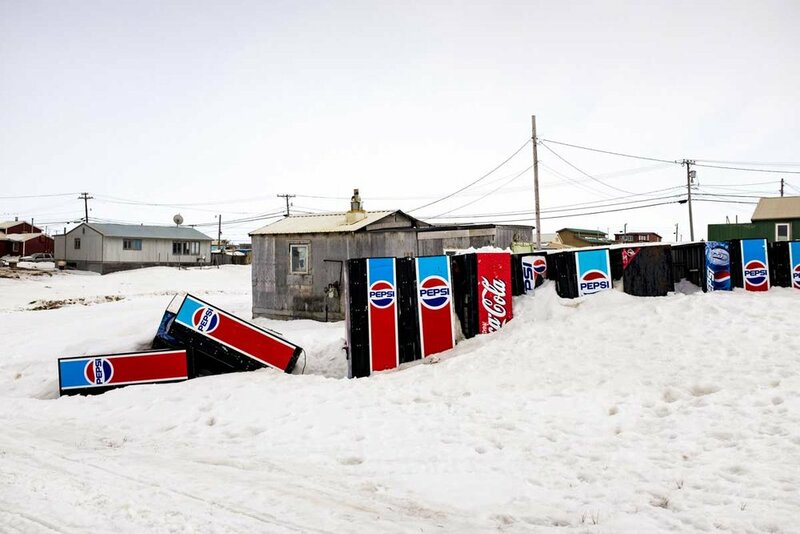 Drinks vending machines buried in the snow in Barrow, Alaska, the northernmost city in the United States. The Dubai Frame rises 150 metres above the trees of Zabeel Park, in the United Arab Emirates’ most populous city. East Ham Jewish Cemetery, a 25-acre burial ground established in east London in 1919. Tokyo’s Shibuya Intersection is the busiest pedestrian crossing in the world and can accommodate up to 2,500 people at any one time. Residents sunbathe outside their homes in the Petrzalka district of Bratislava, Slovakia. Boys play table football on the edge of the Mabella Slums at Susan’s Bay in the Sierra Leone capital of Freetown, home to around 19,000 people. Tahir Imanov and his mother Ofelia have been living in a train carriage for over 18 years since they were displaced by the Nagorno-Karabakh war. Azerbaijan has one of the highest rates of internally displaced people in the world. Leke, 17, weighs bags of macaroni in a pasta factory in the Ethiopian city of Nazret. She lived on the street after running away from home aged 15 but was rescued by the Forum for Street Children in Ethiopia (FCSE) which helped her to find a job and a safe place to live.